This property will be available for showings April 14! 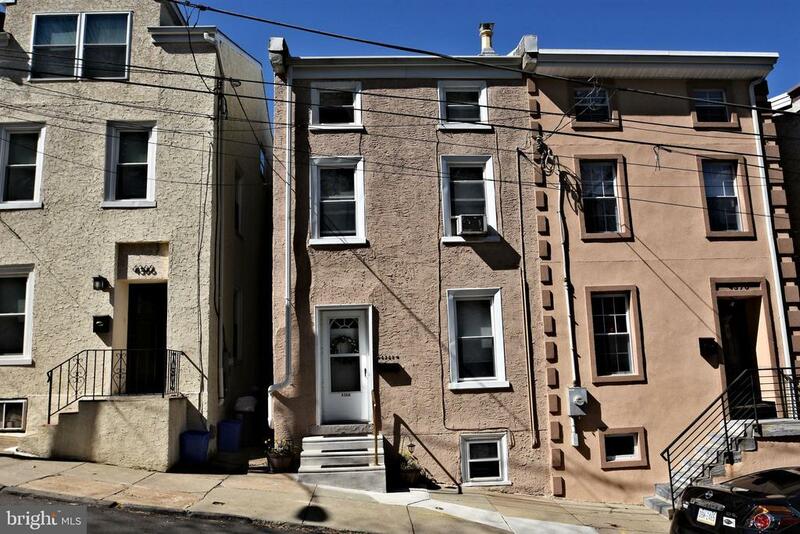 Calling out to all Manayunk Lovers, what a great location with views of the Schuylkill River. This 4 bedroom home is move in ready with its warm welcoming layout. Upon entering on the newly installed front steps you are greeted with the cozy but spacious living room which flows through to the kitchen and sun room areas which add more to the living and entertaining space. The 2nd level consist of 2 nicely sized bedrooms with ample closets and a full bath. The 3rd floor has 2 additional bedrooms with even more storage. A private fenced in yard roomy enough for just sitting back, taking in the river views and entertaining. Convenient to transportation, and in walking distance to "Main Street". Partake in restaurants, shopping and the night life Manayunk has to offer. Dont wait this one wont last!